Now it's time to know more about horoscope in free astrology lesson. In this article we will see about number of houses in kundli, there meaning, how they affect our life, what to predict from houses as per astrology. If you have horoscope then you can find a box in which numbers are written and planets are present in different places. The number represents zodiacs and planets are present in different houses. There are 12 houses present in any horoscope which represent different segments of life. An astrologer study the houses to predic life. The numbers are related with different zodiacs like as 1 for aries, 2 for taurus, 3 for gemini, 4 for cancer, 5 for leo, 6 for virgo, 7 for libra, 8 for scorpio, 9 for sagittarius, 10 for capricorn, 11 for aquarius, 12 for pisces. 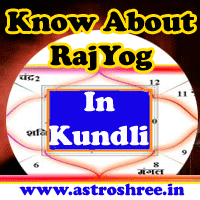 The twelve houses in kundli are very important and it is necessary to know about them, the malefic house is responsible for related problems in life and in the same way good and powerful house of kundli is responsible for happiness, success in life. Ist house is related with mind, personality etc so if this house is generating malefic then person face the problem of instable mind. 4th house is related with mother, happiness in life etc and if it is good and powerful then person live a happy life with luxuries. Tenth house is related with work, career and so if this house is powerful then person make good career and become successful easily on the other hand any problem in this house lead to obstacles in making career. In this way every house is related with different segments like, love life, studies, progeny, destiny, health, income, expenses and so on.